CTEF owes special thanks to Coverings for its generous and long time support. In fact, that's why you will now notice Coverings listed as an Elite CTEF Sponsor when you explore becoming a CTEF Sponsor. 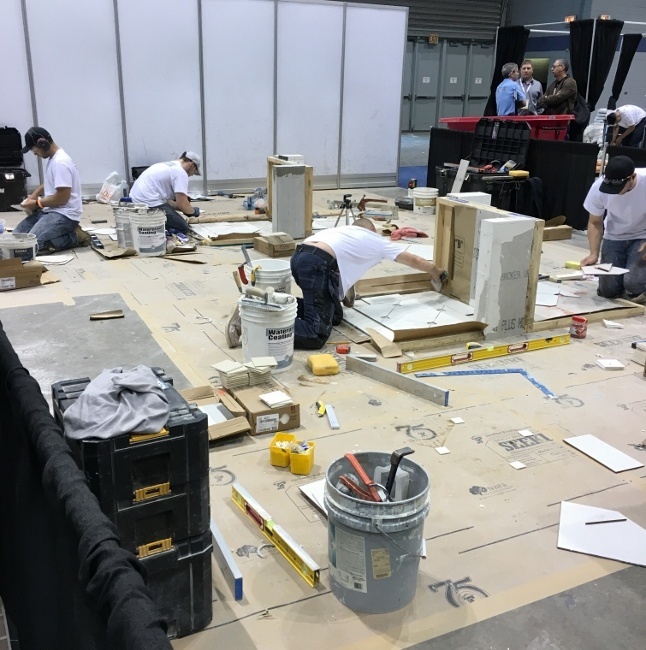 If you aren't familiar with Coverings, here's perspective on the show and the critical role it plays in the tile industry. 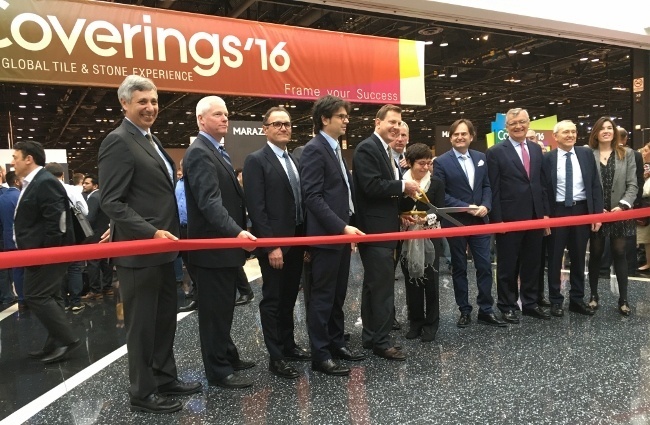 Coverings is the largest tile and stone show in North America with 9 miles of the latest trends and exhibitors from over 40 countries and attracting over 25,000 attendees. For almost thirty years, Coverings has been the most prominent event for the ceramic tile and natural stone industry in North America. Certification opportunities - including the Certified Tile Installer (CTI) and the Advanced Certifications for Tile Installers (ACT) hands-on tests! You will also find live installation demonstrations and the amazing Design Installation Showcase which, in 2017, will feature three tiny houses. NTCA Five Star contractors and leading designers will partner together and collaborate to showcase the synergy between beautiful design and exceptional installation. Each tiny house will highlight a different design aesthetic and feature tile and stone in a live installation. In 2013, Coverings hosted the inaugural Advanced Certifications for Tile Installers (ACT)hands-on test. CTEF was founded in 1996 to do something about how the absence of an educational organization focused on tile installation would continue to impact the ability to sell product in the American marketplace. The attrition of the current tile industry workforce, at the rate of several thousand per year, also served to compound the problem. In 2008, CTEF launched the Certified Tile Installer (CTI) program which is the only third-party assessment of installer skill and knowledge which is recognized by the tile industry. >> See What's the Certified Tile Installer Program? In 2012, six leading tile industry organizations came together to create the Advanced Certifications for Tile Installers (ACT) program. This offers consumers greater confidence that their tile installers follow tile installation procedures that exceed ANSI standards and TCNA Handbook guidelines for floor and wall. Tile training courses and hands-on testing take place in CTEF's 9,000 sq. 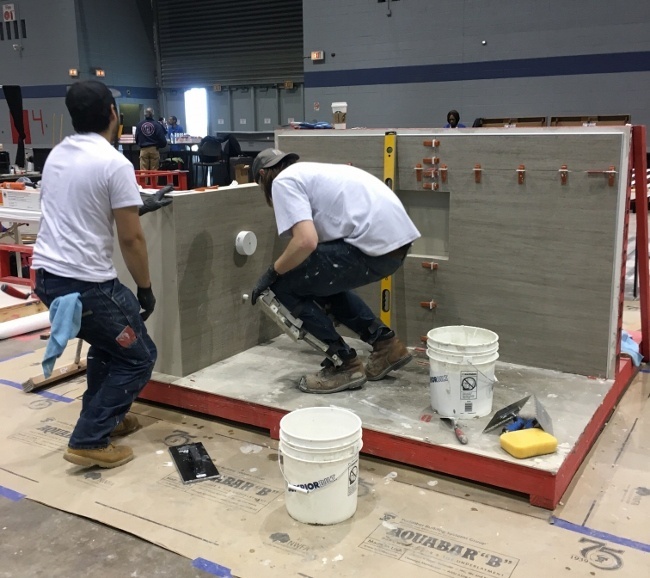 ft. training facility in Pendleton, S.C., which has been designed to meet the growing demand for ceramic tile-related and hands-on installation courses. Each work area contains a tub and shower that are used as a practice area for tile setting, waterproofing, and shower pan programs. Training and certification also take place in locations around the United States thanks to regional evaluators. >> Explore the CTEF Calendar of Events and register to participate. Without the generous support of Coverings and other corporate sponsors, CTEF would not have been able to accomplish many of the goals it has to this date, or to help equip our installers for the future. If you would like to support the tile industry as Coverings does, we invite you to learn more about becoming a CTEF Sponsor.